Children on the autistic spectrum experience varying degrees of difficulties; all of which can be understood as a disassociation of mind and body. Expressing feelings, making eye contact, keeping a steady heartbeat and recognizing faces are all part of the autism dilemma which can be poetically explored by Shakespeare. An afterword describing Hunter’s journey from performer and practitioner to creator of this work. 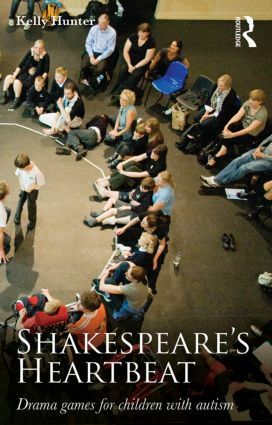 Shakespeare’s poetic definitions of seeing, thinking and loving reveal the very processes that children with autism find so difficult to achieve. This book provides an indispensable learning tool for those wishing to encourage children’s eye contact and facial expression, improve their spatial awareness and language skills and introduce them to imaginative play. Kelly Hunter is an award-winning actor, director, and educator. As a performer she has worked for over thirty years, notably with the Royal Shakespeare Company and the highly-acclaimed Vesturport. In 2001 she created her own company - Touchstone Shakespeare Theatre - to bring Shakespeare to children with little or no access to the arts. She ran the company for four years, during which time she directed Dreams and Voices, a film which documents her work with autistic children and is available on the Routledge Performance Archive. In 2014 she directed a production of The Tempest for children with autism, which performed in Stratford upon Avon and Columbus Ohio. The show was a co-production between the Royal Shakespeare Company and Ohio State University, where her work forms the basis of a longitudinal research study. This research engages the question of whether drama – particularly Shakespeare - can break through the communicative blocks of autism and in particular whether these sensory drama games, known collectively as the Hunter Heartbeat Method can produce long term benefits for children with ASD.